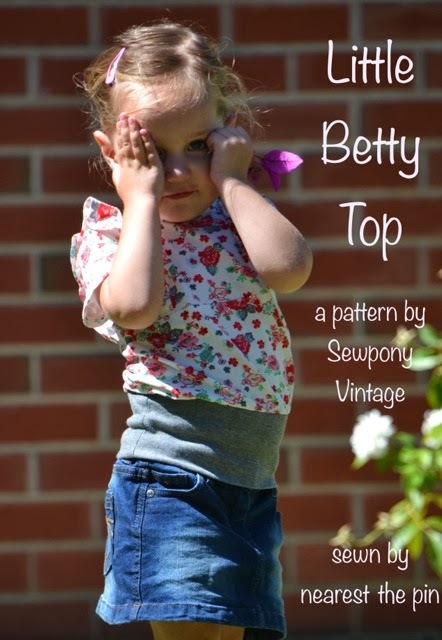 For Day Two of The Little Betty top blog tour, Renee from Nearest the pin and Teresa from Dandelion Drift are showing you two (well actually three) different versions of my pattern. Renee and Teresa also tested my pattern - thanks guys!! You can purchase my pattern here. Use coupon: BETTYTOUR1 for a $1 discount at checkout. Renee from Nearest the pin is a local blogger (yay!) she lives in Victoria, like me, and has only been blogging for a short time. She has two gorgeous kids she sews for and also does lots of sewing for herself and reviews patterns. If I ever get really in to sewing for myself, I will certainly be referring to Renee's blog more for pattern reviews and inspiration! Renee is also super lovely and I am excited to have her here today for her first blog tour! She made two Little Betty's - one for her little daughter and one for her older niece. Renee omitted the cuff on the sleeves...but you can read all about that over at Nearest the pin!! Teresa has a lovely blog over at Dandelion Drift. Teresa also has a son and daughter and sews for herself! She makes awesome stuff for her kids. I only found Teresa's blog a few months ago, and I am glad I did. 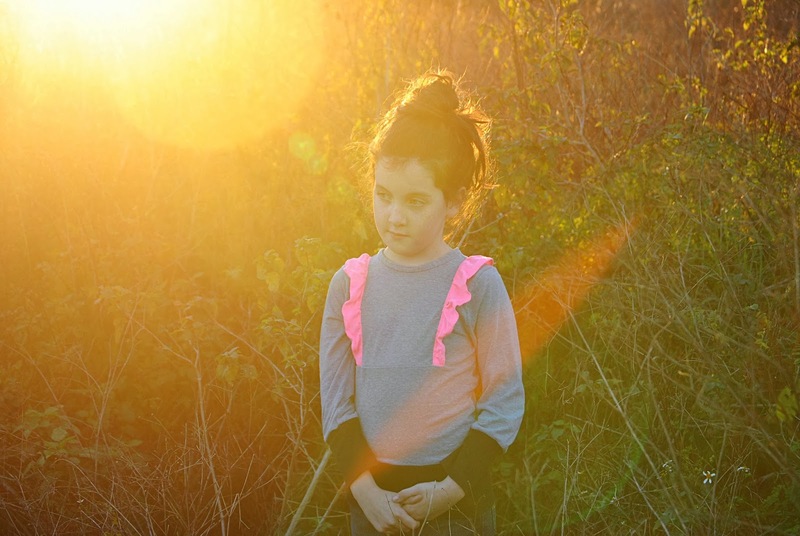 Teresa was the first sewer in my tester group to show me a photo of her creation - I was so excited to see my pattern turned into a great garment...check out her gorgeous multi toned Little Betty here. Thanks so much Renee and Teresa! A reader, Sara, yesterday asked if there is somewhere to share your creations using my pattern...yes there is and sorry I forgot to mention it! You can add your photos to the sewpony Vintage flickr pool. Lovely versions!!! Well done, girls!!! I especially adore the pop of pink on the grey jersey - stunning! Oh these are both adorable! I'm loving seeing all the cute versions of this top! This is a very sweet top! !I love the pattern! !